In August 2018, the floods in Kerala, India destroyed an estimated 11,000 km of roads, 237 bridges, 522 schools, and about 27,000 houses. Nearly 500 people lost their lives, and 15 lakh (1.5 million) were displaced. Now is the time to think about how to rebuild the infrastructure and formulate a guideline for implementing further development of the state of Kerala in harmony with nature in order to prevent such disasters in the future. Also, the infrastructure should be such that it can withstand any future disasters with minimum loss and suffering. In support of the Government of Kerala and their rebuilding process, the Global Energy Parliament (GEP) is drawing up a Kerala State Master Plan based on a holistic and sustainable development of infrastructure and use of natural resources that attaches particular importance to spatial planning, long-term approaches, and a holistic vision. This will be a new global model for a Sustainable State in harmony with nature. It can also be replicated anywhere in the world, taking into account local conditions. We will examine the prevailing situation and address the causes, with particular regard to post-flood conditions, development trends, demographic practices, and existing trends in housing, roads, population, forests, rivers, and agriculture, etc. to create sustainable solutions. March 11, 2019: Phase 1 of the Project Proposal was discussed with the Kerala State Minister of Tourism. He suggested that GEP starts it in one Panchayat, and offered his support. 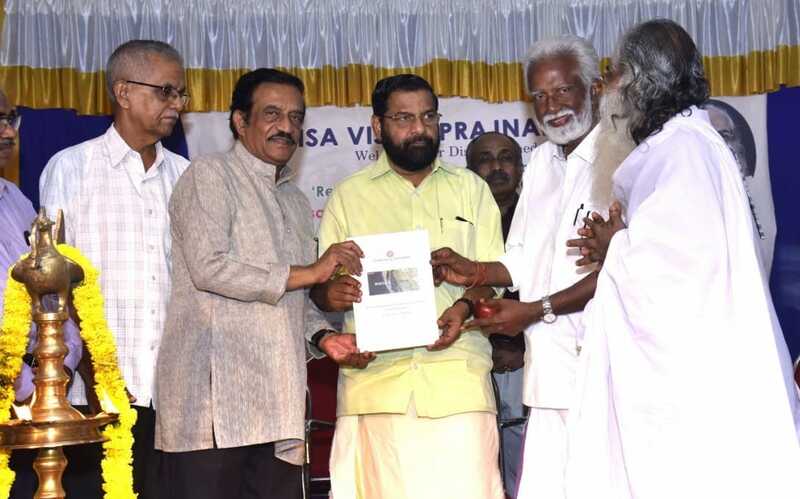 March 9, 2019: First draft of the Model was completed and presented by the international researchers to team of scientists and economists in Kerala. A plan for Phase 1 of its implementation was discussed and drafted up. February 25, 2019: Data analysis was completed. January 20, 2019: The team has successfully completed the first work package of data acquisition and literature review. The gathered data contains many decades of location, area, and census data from over 25 sectors (including housing, agriculture, industries, water supply, population, power, telecommunication and urban development) in Kerala State. The submission of the first draft of the Master Plan is planned to be submitted to the Government of Kerala soon. In the current phase, the data is being analysed by the scientists and will become the building block of the Sustainable State Master Plan for Kerala. November 15, 2018: Interns from Mumbai, Delhi and Trivandrum have been hired for the project selected for their expertise in environment and statistics. Welcome! October 1, 2018: An International Consortium of scientists and researchers was formed consisting of researchers and experts in hydrology, GIS mapping, engineering and sustainability from Germany, France, Denmark and India. Drag the slider to see the landscape change before and after the floods.